Some 2,000 students participated in the 31st annual youth engineering design program at The Tech Museum of Innovation centered on solving a real-world problem. 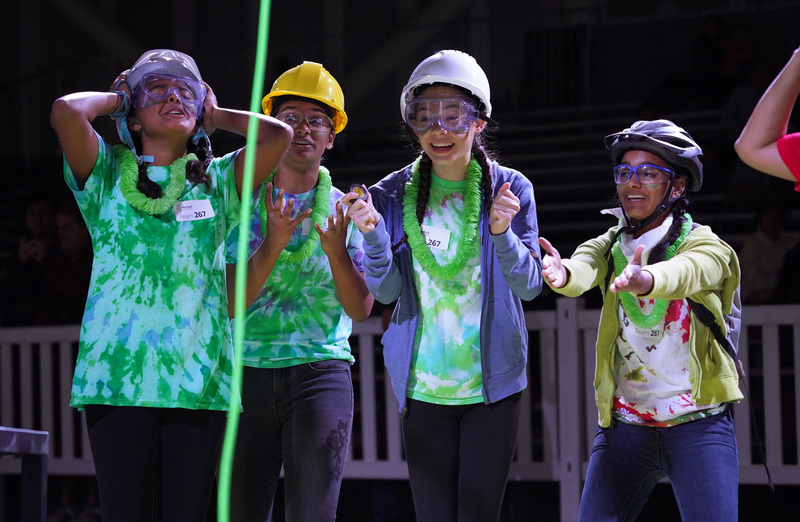 San Jose, CA, May 02, 2018- Thousands of students from across Northern California and beyond participated in the 31st annual Tech Challenge, presented by Dell this weekend. Some 2,000 students worked in teams for months designing and building a device they put to the test in front of cheering crowds at The Tech Museum of Innovation. "The Tech Challenge is The Tech's best program for helping young people discover the power of their ideas, the necessity of persistence and the strength of teamwork,” said Tim Ritchie, president and CEO of The Tech. “The lessons the participants learn through The Tech Challenge will have a positive impact on nearly everything they undertake in years to come." The Tech Challenge, a signature program of The Tech, invites teams of students in grades 4–12 to use engineering design to solve a real-world problem. It reinforces 21st century skills including creativity, problem solving, design, teamwork, leadership, risk-taking, perseverance and learning from failure. This year’s challenge asked teams to build a device that falls 10 feet, then travels uphill to deliver a payload, all without the use of batteries. Students traveled from as far away as Chicago to participate in the event. The Tech Challenge is designed to attract a diverse group of participants. Over 40% of teams come from Title I schools, a 96% increase in the past four years and nearly half of the participants are girls. Participation from low-income communities and equal gender representation are rarities in traditional engineering and science competitions. Dell is the presenting sponsor of The Tech Challenge through 2020. Over the last year, Dell has donated over $14 million to STEM programs globally, offering education and mentorship to underserved young people. The Tech Challenge would not be possible without the enduring support of hundreds of educators. This year’s Bob Grimm Award for an Extraordinary Educator was given to Elizabeth Woodward from International Community School in Oakland, and George Kwong from Schafer Park Elementary School in Hayward. The award is named after a long-time Tech Challenge champion. Grimm was a stalwart supporter of providing STEM education resources to all. The Tech is a hands-on technology and science museum for people of all ages and backgrounds. The museum — located in the Capital of Silicon Valley — is a non-profit experiential learning resource established to engage people in exploring and experiencing applied technologies affecting their lives. The Tech Challenge and Tech Awards are signature programs of The Tech. The Tech’s mission is to inspire the innovator in everyone. Team name: Girl Scouts Can Do Anything!